COB LEDs Are The Newest Source Of Lighting Technology. These NEW COB LED Work Light / Torches Are A. & Torch In One. Very Long Battery Life Due To It Being New COB LEDs. (Li-Ion) Cordless. This Ultra Bright Work Light Is Cordless With A Built In Lithium Ion. 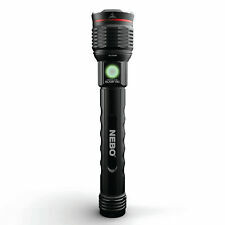 NEBO NE6640 Torch The PRO also has a powerful magnetic base and adjustable steel clip for convenient hands-free lighting. When there is work to be done.bring a PRO! Powerful magnetic base. Two magnetic charging stations and cables. 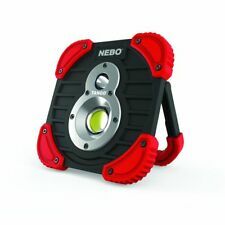 NEBO TANGO NE6665 Work Light A seven position 180º rotating arm functions as a hanging hook, carry handle, or a kickstand. After all, it takes two to TANGO. Micro USB to USB cable and AC adapter included. Epic Tools. Type Torch. 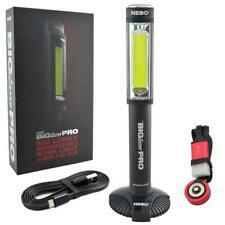 The PRO also has a powerful magnetic base and adjustable steel clip for convenient hands-free lighting. Powerful magnetic base. Two magnetic charging stations and cables. WIHA Micro Stubby Magnetic Screwdriver With Bit Holder & Pz & Slot Bits, 33764. Rugged contruction and shock resistant. It has the Coast Inspection Beam that throws out a perfect circular beam without any dark spots that makes up close inspections easier. Made by Coast Torches. We hope it has been a positive experience and you award us a positive review. SMD LED Folding. SMD LED Work Site Light. Featuring the latest 20w SMD (Surface Mounted Diode) which is highly energy efficient. Lithium Ion. Fireplace & Heat Products. Pressure Washer & Accessories. The handle is applicable for direct mounting on the SCANGRIP TRIPOD (Not Included). 12 Months Warranty From Scangrip. MPN SCA006 03.5620. Model: SCA006 / 03.5620. The STAR is ergonomically designed to be used as a hand-held work light. The light will glow red while charging and will change to green once charging is complete. Backed by Coast's 5 year warranty. LED: LED Light Chip. Regulatory Compliance: CE / RoHS. Warranty: 5 years. • Micro USB to USB cable and AC adapter included. • Power bank for your USB powered devices. With a seven position rotating arm and hanging hook, carry handle and kickstand. • Front-positioned, ON/OFF button; hold to dim. The SLR-3000 can be angled within a 115° range to shine the beam onto a specific area, while four strong magnets are built into the base of the light so that it can be attached to magnetic surfaces for versatile usage. 2x 3w COB LED light (6w total). Lighting (52). Health & Beauty (1). Requires 3 x D batteries (not included). Multipurpose Batteries & Power (1). Durite Part Ref - 0-541-30. Fitted with strong magnetic base and handle - work lamp angle can be pivoted on the base. USB Output - 5V 2.1A. Super bright LED technology and Lithium Ion battery. Base - Polycarbonate. SuperLite Torch / White/Red light. THIS ITEM CONTAINS BATTERIES. - USB charging cable. • Micro USB to USB cable and AC adapter included. • Power bank for your USB powered devices. With a seven position rotating arm and hanging hook, carry handle and kickstand. 3 Light Modes. • Front-positioned, ON/OFF button. NightSearcher type Trio 550. Colours: grey / blue. Download a Full Technical Specification. 600m light beam. Hand Tools. Building Supplies. Music & Drama. Maths, Humanities & PE. 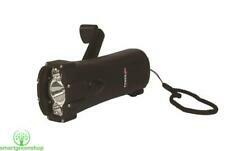 NEBO TANGO WORK LIGHT. • Front-positioned, ON/OFF button; hold to dim. • Micro USB to USB cable and AC adapter included. A seven position 180º rotating arm functions as a hanging hook, carry handle, or a kickstand. Genuine Durite. Fitted with strong magnetic base and handle - work lamp angle can be pivoted on the base. USB Output - 5V 2.1A. Super bright LED technology and Lithium Ion battery. It has a robust ABS plastic body with multi position Handle/stand. 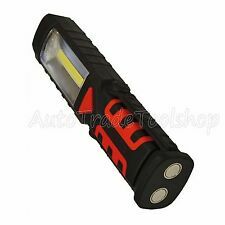 Ring RIT1060 Zoom750 Rechargeable LED Aluminium Torch with Power Bank - NEW. Condition is New. Dispatched with Royal Mail 1st Class. Premium Aircraft grade hardened aluminium Super bright 140 lumens Beam distance of 150Metres Three useful function 100%-50% strobe Battery run time jof 2-3 hours (100%) & 4-5 hours (50%) LED lifetime 100,000 hours Charge time 8 hours Worldwide voltage 110-220 volts . ASTA A-G001 is ultra bright COB LED cordless work light and torch. LED COB provides greater heat dissipation, longer service life and better light output. Universal charging system via micro USB port. The Faithfull Folding Rechargeable Site Light has an innovative fold flat design which offers the user the ideal storage solution for both around the home or in a vehicle. Featuring the latest 20w SMD which is highly energy efficient this work light provides a bright glare free 1800 Lumen light output and is cool to the touch. The heavy-duty Lithium-ion battery is lightweight but powerful providing up to 7 hours of continuous light on one full charge, depending on the mode selected. Four output modes are provided 100%, 50%, 25% and flashing. The work light also offer added advantage of a UBS power outlet allowing the user to recharge many portable electronic devices such as MP3 players or mobile phones (a compatible lead with USB ‘A’ type plug that has been supplied with the device to be. Made from high quality components, the Salamander has excellent performance in both lighting and charging. 2400 mAH Lithium PowerBank. 1 x Powerplus Salamander Waterproof Flashlight. The 3W LED bulb can be used either on High or Normal beam. Strong, lightweight aluminium body. with Power Bank. Colour temperature 6500K. Light mode 100%. Soft push 50% SOS and off. Nylon body with multi positional stand. Streamlight MicroStream USB with 5" USB Cord and Lanyard, Black. - Case Material: Machined Aluminum Alloy Case, Type II Mil-Spec Anodized Finish, and Unbreakable Polycarbonate Lens. - Color: Black. - Weight: 1.20 oz (with Battery). 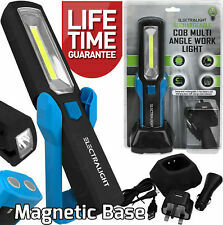 Electralight Rechargeable 3W COB LED Work Light Ultra bright 90 lumen COB LED Work Light Super bright 30 lumen LED spotlight No need for batteries - equipped with rechargeable Li-ion rechargeable battery (reaches full charge in approximately 4 hours) Features strong magnetic swivel hook for easy hanging and agjustable magnetic swivel base Rechargeable by AC/DC power adaptor and USB connector cable (both included) Run time is around 4 hours for work light mode and 8 hours on spotlight mode after a full charge Can be used as a USB power bank to recharge phones, tablets and more Buy yours today!. CAT 962841 Lithium-ion Rechargeable LED Work Light 1100/550 Lumens w charger #. Shipped with USPS Priority Mail. The ultra bright COB light features a 2 phase switch to save energy. The light features a heavy duty magnet on the rear as well as a hook concealed in the head for even greater hands free usability. Works With Ridgid's 18V Batteries - 2.0Ah, 4.0Ah, 5.0Ah. (NEW SEALED BOX). NEW AND IN EXCELLENT CONDITION. NO EXCEPTIONS! WHAT YOU'RE BUYING. Colour temperature 6500K. Soft push 50% SOS and off. Nylon body with multi positional stand. Light mode 100%. Set the light down and use the swivel base to point light wherever you need it. For added versatility, you can wall-mount the light using the pre-drilled keyholes. The included adapter recha. -19 Watt, Cob LED. This torch provides a long lasting and powerful source of light and is ideal for use in both professional and leisure activities. Sed nisi erat, hendrerit hendrerit venenatis vel, finibus id neque. Duis pellentesque nunc eu rhoncus cursus. Our aim is to provide you with top quality products, at trade prices, straight to your door - hassle free. Try our service and if you're not happy call us and we'll make sure that you are! Sed nisi erat, hendrerit hendrerit venenatis vel, finibus id neque. Kikkerland 2 in 1 Flashlight. 2 in 1 Flashlight and Power bank. Micro USB charging cable included. Novelty Goods. It provides a powerful light with the long-lasting LED bulbs. This multi-purpose tool has 3 folding area panels. It features 18 ultra-bright LED lights to make it more useful. This functional light also features an ergonomic rubber handle for a firm grip. Rechargeable Worklight Mobile Power 1800 Lumen MobilePower LED Portable Light. Shipped with USPS Priority Mail.